Opening in February, Roseberry Farms owners Joe and Deb Lebryk seek to share their passion for antiques, books and collectibles with their customers. Having more than 10 years of experience, they designed the store that brings back the feel of the late 1800s. They encourage their customers to step back in time and find a used book, vintage antiques and linens or collectable farm/construction toys at very reasonable prices. 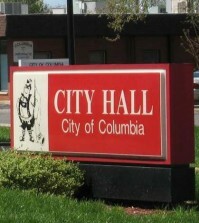 Joe and Deb plan on becoming involved in downtown Columbia functions. Their “grand opening” is tentatively scheduled for late April/early May and will include free food and drinks under tents in the parking lot.